During the torrid summer of 1942 several blacks were murdered in wartime Washington, D.C. A lone black police sergeant and a young naval officer get hold of opposite ends of the thread, whose middle anchors an audacious German plot. Saboteurs intent on destabilizing the capital have been landed on isolated East Coast beaches. Two agents are assigned to wreak maximum havoc by mounting assassination attempts on President Roosevelt and Prime Minister Churchill (then visiting Roosevelt). The suspense is made all the more real by the re-creation of authentic details of character, circumstance, and atmosphere. The mood of racial tension in heavily segregated Washington is especially effective. 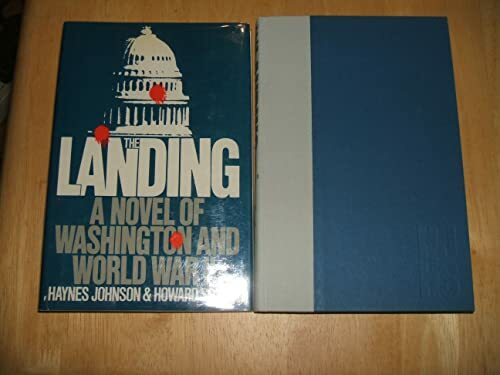 This is a first novel by two highly regarded journalists who cut their working teeth on Washington's flinty realities. Barbara Conaty, Medical Coll. of Wisconsin, Milwaukee<br />Copyright 1986 Reed Business Information, Inc.